This will be billed as a match between Lewandowski and Mane. One a world superstar albeit slightly on the wane and one just coming into his prime. Although they are different types of player it is unlikely that Mane will hit the heights Lewandowski has. However it is much more than that it is a contrast of styles. 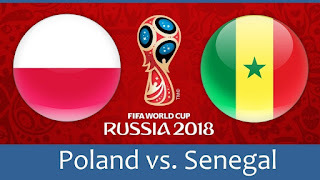 The cold, old world pragmatism of Poland against the exuberant and unpredictable Senegalese. Both teams will really fancy their draw but won't want to give anything away in the first match of the group. Poland should slightly have the edge but I just have a feeling for Senegal.